Again! Just four days ago, Max Scherzer threw an immaculate inning (nine pitches, nine strikes). Three days before that, Craig Kimbrel threw one. 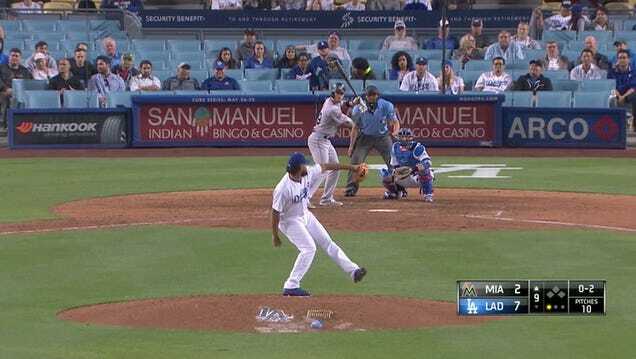 Then last night, Dodgers closer Kenley Jansen threw an immaculate ninth inning against the Marlins.